Welcome to the 2019 Camelot Remix Fest! 1. Go to the collection and click on the Post to Collection button. 2. Fill out all the relevant fields on the form, including checking the remix box, and filling in your remixee’s name as a recipient. Copy and paste the text of your work into the Work Text box. 3. Click on Preview (bottom right, below the text box for the story) and make sure everything displays the way you want it. If you need to change something, click on Edit. Edit, Preview, and repeat. 4. Click on Post (bottom right) when you’re ready to post! Everyone taking part in the 2019 round of Camelot Remix should by now have your emails with details of your remixee! If you have yet to reply to me, please can you do so, it helps me to know if everyone has their assignments. If you have not received an email something has gone wrong, please contact me or leave a reply to this post (comments are screened) or email camelotremix@gmail.com. Writers: You need to write one story of at least 500 words that remixes one story/art by your assigned remixee. There is no upper word count limit. Artists: You need to create one piece of art that remixes one story/art by your assigned remixee. Word counts do not apply. The story you choose to remix can be any length and can be a crossover with another fandom, but it can’t be a work in progress, a remix, a collaboration, or the remixee’s "safe work". A Note To Our Participants about Matching! This worked well last year, so we'll open the option for our participants again this year! Here's your chance to say, "HEY! I CAN TOTALLY CREATE SOMETHING FOR THEM!" This is NOT an official claiming. However, if you've had a look at THE SIGNUPS and there's someone whose requests match your strengths, this is your chance! If you see someone's sign-up info that you think you could create something amazing for, we'd love to hear about it. Please comment here with 2-5 participants you think you'd be a great match for. Comments on this post are screened and the mods are the only ones who will see your requests and/or comments. This is completely optional, but if you want to have a little more say in your matching, here's your chance. Please understand that we can't make promises and this is no guarantee, but we will try to take your requests into consideration as we are matching if at all possible! Please remember, at the end of the day, we still need to match everyone and so we definitely are not promising anyone that they will get exactly who they ask for -- only that we'll try! You have until Tuesday 26 February to leave your comments and requests here or on the same LJ post. Calling all stragglers – Last chance to sign up! You have until close of play tomorrow to sign up for Camelot Remix! Go go go! Pimping Banners – Help us promote the fest! 2019 CamelotRemix Official Sign-Up Post! This is the official sign-up post for the 2019 camelotremix! Sign-ups start today and run through to the end of 20 February (in your timezone). Assignments will go out on or before 1 March. Remixes are due 1 June. Fics must be at least 500 words long. No minimum word count for art or podfic. Work must be posted to Camelot Remix collection at the AO3 or, in the event a participant would prefer the mods to post to LJ/DW and not post to AO3, sent to camelotremix at gmail dot com by the due date, and the mods will make works public as their posting date arises. Remember, the good thing about posting to the collection on AO3 is that you can edit your work up until the posting date without anyone seeing any typos first. To sign up as a regular participant you must have created at least five remixable works. Writers need to have written at least five stories of at least 500 words of a Merlin FPW (fictional person work) and/or Merlin RPW (real person work), and artists need to have created five FPWs or RPWs that your remixer can choose from. If you have many works that are not eligible, consider tagging the ones that are with “remix eligible” (or something similar) and linking to that particular tag in your sign up. You can specify one work as a "safe story" or "safe art" that you don't want to have remixed, but this will not count towards your five qualifying stories. We are also asking you to note your “starred work” which is the work you’d most like to see remixed. Keep in mind that your remixee is not obligated to remix this work. *Podficcers: In order for your podficced works to be considered eligible, the author must be signed up for this fest and must not list the podficced work as a safe work. If you are eligible as a writer or artist and choose to create podfic for this fest, eligibility rules for writers/artists apply. If you don't have the qualifying works you can still sign up as a pinch hitter. If you want to do this, just write "pinch hitter" in the subject line and give us your name, e-mail address, and preference for RPF or FPF and if you're creating fic or art. The full rules and more information about remixing can be found at the FAQ and What's a remix? posts. If you have any questions please comment or email the mods at camelotremix at gmail dot com. To sign up, copy and paste the following form and comment ON THE LJ POST with it. When you link to your fic, please use a plain url (example: http://archiveofourown.org/users/winterstorrm/works) rather than a formatted link (bad example: "winterstorrm's fic"); this will make it easier for us to copy and paste the links into the assignment e-mails. 2016 CamelotRemix Official Sign-Up Post! Sign-ups start today and run through to the end of Wednesday 10th February (in your timezone). Assignments will go out on or before Monday 15th February. Remixes are due Friday April 15th. The full rules and more information about remixing can be found at the Frequently Asked Questions and What's a remix? posts. If you have any questions please comment there or email the mods at camelotremix at gmail dot com. To sign up, copy and paste the following form and comment to this post with it. You can sign up on either livejournal or dreamwidth; but don’t sign up on both. When you link to your fic, please use a plain url (example: http://archiveofourown.org/users/winterstorrm/works) rather than a formatted link (bad example: "winterstorrm's fic"); this will make it easier for us to copy and paste the links into the assignment e-mails. Here are the rules/FAQs for the 2016 round of Camelot Remix. Please make sure you refer to posts with the 2016 challenge info tag to ensure you have the right information. A remix is a challenge where you write a new version of a story by another participant. Keep the basics of the story the same (including the basic plot, characters, pairings or lack thereof), but change the style, structure, focus, or something else. Our "What's a remix?" post (LJ|DW) explains some more about what remixing means and some of the different approaches people have used. You can get a quick idea by checking out the stories from previous fests. This year's Camelot Remix entries will be posted in a similar format at the same archive. 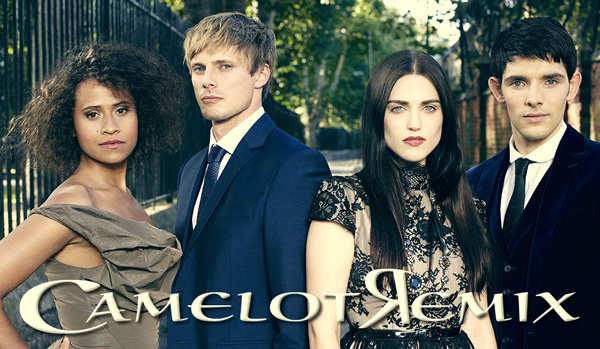 camelotremix/ camelotremix is a remix challenge for Merlin and Merlin RPF fic and art. In your signup you can specify whether you're willing to write or create art that is FPF, RPF, or both. Beyond that, we won't be matching people by pairings or genre, so before you sign up make sure you're open to writing different kinds of stories. A sign-up post will go up by 1st February and will be open until midnight 10th February (in your timezone). Assignments will go out by 15th February. You'll have until 15th April to create your remix work. Stories and art will begin posting on 25th April or as soon as we have one remix for everybody, and they will stay anonymous for one week after all works have been posted. -must be complete (no works in progress). -can be FPF, RPF, or a combination of both (for example, two Gwen/Morgana works and four Bradley/Colin works), but not crossovers with other fandoms. -should stand on their own – five parts of one story counts as one story, not five. -should not be collaborative projects or remixes of other people's work. You'll have the option of designating a "safe work" that cannot be remixed. This work won't count toward the five works you need in order to qualify. You will also have the option of denoting a "starred work" which is the work you'd most like to see remixed. Keep in mind that your remixee is in no way obligated to remix this work, nor are you obligated to remix the starred work of the person to whom you are assigned. Crossovers and fics of less than 500 words are fair game for remixing even though they don’t count toward the eligibility requirement. Collaborative works are not fair game for remixing. If you don't have enough qualifying works, you can still sign up as a pinch-hitter and we'll contact you if we need someone to create an extra work. What do I have to create? Writers: You need to write one story of at least 500 words that remixes one story by your assigned remixee. There is no upper word count limit. Artists: You need to create one piece of art that remixes one story by your assigned remixee. Word counts do not apply. We will e-mail you with your remixee's name and a link to their work, and you'll have about eight weeks to create and post your work. There will be a sign-ups post here on the camelotremix/ camelotremix journal by 7th February. You can sign up on LJ or Dreamwidth, and if you don't have an account you can comment anonymously or with OpenID. We will e-mail you your assignment, which we'll ask you to keep secret until the reveals post is up, about a week after the final work is posted to the AO3 Collection. In the sign-ups post, we'll ask you to post a link to a list of all your Merlin works; this could be a website, a journal post or a fic journal with tags, or a page at the AO3 or another archive. If you don't have your fic listed or organized somewhere, please try to take care of that before you sign up, it'll make things a lot easier on us and your remixer! Where will the works be posted? The works will be posted to the Camelot Remix 2016 collection at the Archive of Our Own. This will make it possible for each author to edit their own work whenever they need. It will also make it easy for the mods to control when the works go public and when the remixers' names are revealed. If you don't have an AO3 account, you'll need to set one up in order to post. Sign up at the Invitation Queue and you should get a code within a few days. If you do not get a code, contact one of your mods as soon as possible, and well before the posting deadline. If you do not have an AO3 account and do not want to get one, the mods will be happy to post your work for you directly to the LJ and DW comms. However, please be aware that by doing so, you do not have as much direct control of your work that you would have by posting your work to AO3. Should you have questions about posting to AO3, please refer to last year's Posting to the AO3 is easy! post. We hope you'll only sign up if you're confident you can get a fic written by the deadline, but we understand that these things don't always work out. If you need to drop out of the challenge, just let us know as soon as possible so we'll have time to find a pinch-hitter and they'll have some time to write. You can e-mail us or leave a comment at the Contacting the Mods post on LJ or Dreamwidth. What about this other thing? Have other questions or concerns? Feel free to comment here or e-mail or PM winterstorrm/ winterstorrm or kitty_fic/ kitty_fic. We'll edit this post as more questions come up and as details get worked out. How can I keep up with announcements? On Dreamwidth, you can subscribe to camelotremix; on LJ, you can friend or track camelotremix. This is set up as an individual journal rather than a community in order to make cross-posting easier; you can always comment on either side and there will be links between corresponding entries. If you’re an LJ user and would prefer not to friend this account, you can subscribe to the syndicated feed camelot_remix to see announcements. But for linking or commenting please use either camelotremix or camelotremix. 2015 CamelotRemix Official Sign-Up Post! Sign-ups start today and run through to the end of Saturday 14th February (in your timezone). Assignments will go on or before Wednesday 18th February. We are opening the sign-ups earlier than last year as we want to give you as much time as possible to work your magic. Remixes are due Wednesday April 15th. 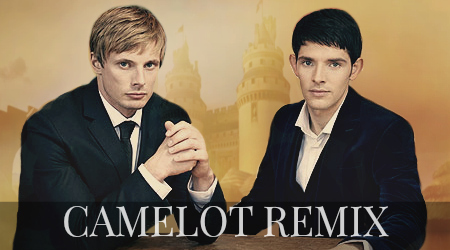 Camelot Remix is back for another round with new mods kitty_fic and winterstorrm. We can't wait to get stuck in! A 2015 schedule, updated FAQs and other details coming very soon. We'd like to extend a warm welcome to camelotremix's new mods: winterstorrm and kitty_fic. Thank you all for reading and participating over the years. It's been a pleasure modding such a wonderful fest. While we're sad to be leaving, we're excited to be leaving this fest in such capable hands. Wonderful things are coming! Stay tuned. But it is our hope that one of you lovely people will want to take over the mantle and run the fest. Our preference would be to turn it over to someone who has run at least one fest before, because let me tell you, modding any fest is a lot of work, but running an anonymous exchange fest is a special type of time-consuming. If you're interested in taking the reins, drop us a comment here or shoot us an email at camelotremix@gmail.com. We have had an amazing time modding this fest, admiring the incredible art that has come out of it, and reading all of your beautiful words. We do hope that this fest can live on, especially since it really has produced some spectacular works. Thanks again everyone, and hopefully we'll see you next year! As always, leave a comment or poke us in some other way if there are any errors in this post. It was a lot to code and we've both looked at it, but that doesn't mean we haven't missed anything. ETA: OH MY GOD, FAILMOD. JFC. I FORGOT TO THANK OUR PINCH HITTERS: tuesdaymidnight, moiraes, and envy_venis. Thank you all from our bottoms the bottoms of our hearts for pinch hitting, creating amazing works, and generally helping to preserve our sanity. As always, if you see anything wrong with the html coding, please let us know. Warnings: Dubious Consent of the soulbonding kind, as Arthur experiences a moment of trepidation over the inevitability of the bond taking place. Summary: Making the most of a rare opportunity for a solitary trek in the woods, Arthur, Crown Prince of Camelot, encounters something, and someone, he never thought to see again. Destiny ensues. Dear Remixee, your lovely art's summary says: "If Arthur had known how the winters of his mother's home country affected Merlin, he would have dragged Merlin there years earlier," and you also mentioned being influenced by your trip to Lapland. This got me thinking of Arthur's mother's home country and I've decided to set this remix in Lemmenjoki National Park (the local Sámi people would call it Leammi) in Finland. I hope you enjoy, and thank you so much for the wonderfully inspiring, gorgeous art. Summary: If it weren't for the war, Arthur would never have met Merlin, who is the best thing that's happened to him in his entire life. Summary: In which Arthur finds wet kilt on his boyfriend arousing. Who cares about clingy, wet, see-through white shirts when you can have more to your imagination under that water heavy kilt? Author Notes: When I saw the art I knew I'd have to do something with it. I actually have 4 different sketches going from 1st person POV to all the way to really bendy bath smex along with this and in the end I really felt frustrated because I wanted to make them all, damnit! THANK YOU FOR ALL THE REMIX MODS FOR GIVING ME ALTOCELLO SO THAT I COULD GIVE HER ALL THE LOVE! Summary: Through one godly script of three acts and eighteen lifetimes, Merlin and Arthur have always paid for their love with death. In their last, Arthur learns to be selfish. Author Notes: To glim: this is inspired by your lovely Ars latet arte, which caught my eye the very instant I read it and fascinated me. My brain spun this entire story around yours, and it became so much more than I thought it would, so here you have a monster of +14k. I hope you will like it, and I apologise if it’s wonky at times, it’s my first ‘plotty’ story ever. Thanks to the mods for doing the remix another time, I had a blast! You guys are awesome. Hope someone has fun with this. Don’t let the tags scare you off ;). Summary: Arthur doesn’t necessarily consider himself an artist, but art itself takes on a new meaning when it comes to Merlin. Author Notes: altocello’s drawing of Merlin in the bathtub is absolutely gorgeous. Thank you so much for letting me play with this.